Virginia A. Kuhn, a doctoral candidate at the University of Wisconsin at Milwaukee, was having dissertation trouble. But it wasn’t that Ms. Kuhn was struggling to finish her thesis. The trouble was that officials at the institution could not figure out whether to accept it. Her thesis is not a printed document. It was born digital, in a multimedia format full of film clips, hyperlinks to other parts of the work, and other uses of electronic media. There was no way to measure the margins to make sure they met the university’s specifications, which are notoriously strict at many institutions. But that was a minor concern. The biggest issue was copyright. Citing a snippet of text in a printed thesis is standard procedure, but including a piece of video or a still picture, which Ms. Kuhn says is critical to explain her points, can raise the ire of copyright holders, and sound the alarm among university attorneys. The topic of the work, as it happens, is the challenges of adopting new technologies in teaching and learning. Even though university officials first approved her dissertation and tentatively granted her a doctorate in December, they quickly reconsidered and put a hold on her transcript while they deliberated on whether they could accept the thesis. Only in late March did the university grant her degree, after a nerve-racking delay. Ms. Kuhn, now a postdoctoral research associate at the University of Southern California’s School of Cinema-Television, is among a very few students to compose a dissertation completely in multimedia format. Many dissertations now include some film, sound, or other media files. Few, however, appear to have been conceived as multimedia projects from the start. Why not just stick to the traditional format? The form of Ms. Kuhn’s dissertation is based on that of a regular book, but with many nonstandard features. Its online pages are heavy with text, like a printed book, but when a user moves the cursor over the pages, hyperlinks pop up, leading to embedded information. And images, when clicked on, open windows containing more-detailed captions, or a film clip, or citations. An electronic “sticky note” feature lets users record comments and reactions for their own later reference. “I made it look traditional so it wouldn’t be completely alienating for a university user,” says Ms. Kuhn. To produce the electronic work, she used TK3, a software platform designed by Robert Stein, research director at USC’s Institute for the Future of the Book. An acclaimed figure in new-media circles, Mr. Stein is the founder of Night Kitchen, a seven-year-old company that develops writing tools for electronic publishing. Ms. Kuhn first secured the approval of her dissertation committee, whose members became enthusiastic after initially hesitating. When her doctorate was put on hold, committee members went to bat for her. She assured University of Wisconsin officials she was willing to convert the document from the TK3 platform to an open-source program that Mr. Stein and colleagues have developed, called Sophie, which Mr. Stein says is specifically designed to “be alive for a long time.” The Sophie project is part of his work with the Institute for the Future of the Book, a collaboration between USC’s Annenberg Center for Communication and Columbia University. The software allows writers and readers to have conversations within books — both live “chats” and exchanges through comments and annotations. The software does not answer the thorny copyright questions, though. In fact, she does not know how much copyright clearances would cost her were she to request them. But she is certain that it would be more than a beginning academic could afford. While the status of Ms. Kuhn’s dissertation remained in limbo, some graduate-school officials said they were not interested in helping her break down copyright barriers, even though current copyright laws have never contemplated cases like hers. Storing the dissertation could also cause problems, says Ewa E. Barczyk, interim director of the Golda Meir Library at the University of Wisconsin at Milwaukee. The University of Wisconsin System is setting up a repository for a variety of digital documents from the system’s campuses. But the library requires that materials that are placed in the archive be “open-access compliant,” she says, so that anyone can get to them. And, she says, if Ms. Kuhn’s work is included in such a repository, that may create legal problems because copyright holders may consider the document’s accessibility a breach of their copyrights. The university’s legal department, however, has washed its hands of the dissertation. “After reviewing the matter, we concluded that the copyright issues were the concern of the student and publisher, not UWM,” says Robin L. Van Harpen, the campus’s senior university legal counsel, in an e-mail message. Legal experts agree. “It seems to be classic fair use,” says Kenneth D. Salomon, a Washington lawyer who often represents colleges in intellectual-property cases. Courts determine fair use by considering several questions, says Peter Jaszi, a professor of law at American University. Is the use educational? Is it for commercial ends? Does it do measurable harm to a copyright holder’s prospects in the marketplace? Are the clips unnecessarily long or numerous? He agrees with Ms. Kuhn that images should be evaluated just as text is. “Case law makes that absolutely clear,” he says. Of course, he says, universities’ lawyers are paid to avoid risk, but they should beware of doing so at the cost of legitimate educational and research goals. He recommends that representatives of various academic groups, including developers of multimedia works, do what members of the Society for Cinema and Media Studies have done over the last decade: formulate a document of best practices relating to fair use, and stake a claim to it. But even court rulings, say the two lawyers, do not prevent organizations such as University Microfilms Inc., the publisher and repository of 98 percent of doctoral dissertations completed in the United States, from imposing their own rules. And, in fact, Milwaukee officials did meet opposition when they tried to submit Ms. Kuhn’s work to that archive. The company, which is now part of ProQuest Information and Learning, has been accepting dissertations in CD-ROM format since 1996. Sound, video, and other nontext files can be uploaded to the company using an online submissions process. But those files must be in “standard” formats — and the TK3 software platform does not qualify. Multimedia dissertations are not new, though they have been few and far between. 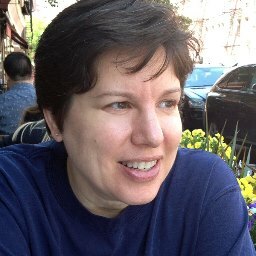 One of the first was Christine Boese’s 1998 Rensselaer Polytechnic Institute dissertation about the “Xenaverse,” the cyberworld of fandom for the television show, Xena: Warrior Princess (the work is stored at http://www.nutball .com/dissertation). Authors of multimedia dissertations have found various ways to deal with the issues that officials at Milwaukee have been confronting. Way back in 1997, for her dissertation at the University of Virginia, Constanze M. Witt, now a lecturer in classics at the University of Texas at Austin, used a multimedia format to support her arguments about the nature of early Celtic art. With all that, she says, to use a linear medium would be to impose a “post-Renaissance, four-square way of thinking,” inherited from Roman and Greek conceptions of art, onto her Celtic material. But permissions did pose problems. Some museums refused to allow Ms. Witt to reproduce images she wished to include, or allowed her to include only low-resolution versions. But she skirted those issues and used some images without permission, she says, by not making the dissertation publicly available, “although I do have an innocuous Web-site version.” On the Web, she includes low-resolution versions, with permission, of the images she had wished to run in high-resolution mode. She has not sought to register her work with University Microfilms. At her current institution, doctoral candidates are required to submit their dissertations electronically. But “the dissertations aren’t hypertextual, at all,” she says, noting that they must be designed to print out like book pages and submitted as files converted to Adobe’s Portable Document Format, or PDF.